Our Open Races at Daytona Milton Keynes are scheduled events that allow individual racers and small groups of all abilities to compete against other individuals, groups or teams. These exciting events offer a number of formats – you can choose between individual sprint racing or ‘Le Mans’ style team endurance racing. Whichever you choose, you can be sure of healthy competition and adrenalin-pumping action. Anyone aged 14 and over can race in our SODI Open Races. A 20 minute sprint race on the International Circuit, with practice/qualifying, for individual drivers. Using our fleet of 390cc RT8 Sodi Karts, the D-Sprint is perfect for novice drivers as a first race. Trophies are awarded to the top 3 drivers. A 40 minute sprint race on the International Circuit, with practice and qualifying, for individual drivers. Using our fleet of 390cc RT8 Sodi Karts, the D40 is for intermediate drivers looking to improve and weekend thrill seekers. Trophies are awarded to the top 3 drivers. A 30 minute sprint race on the International Circuit, with 3 stage qualifying just like F1, for individual drivers. 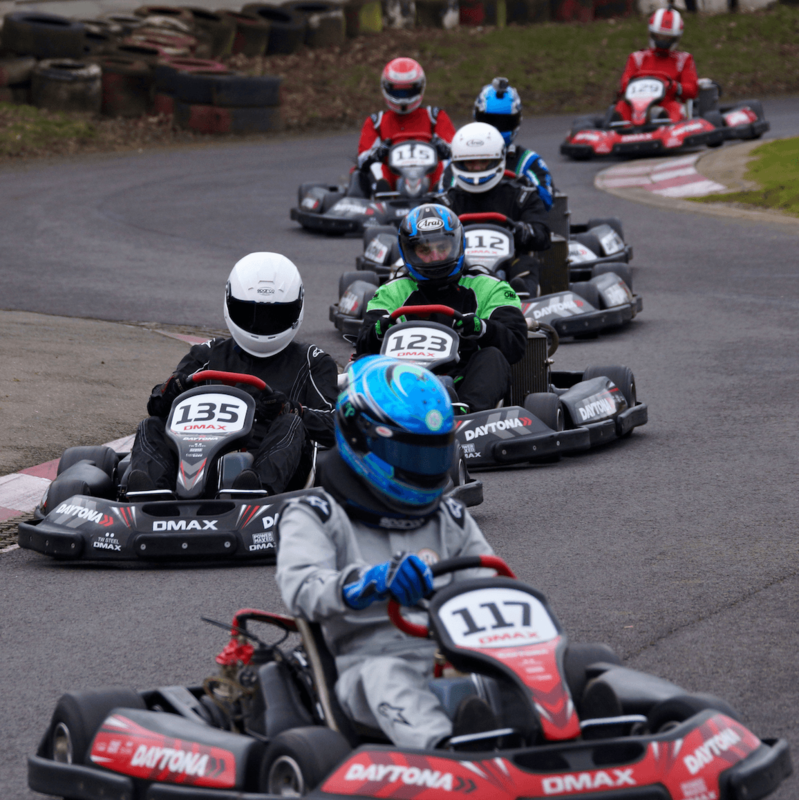 Using our fleet of 390cc RT8 Sodi Karts, the DGPS is perfect for the racing enthusiast. Trophies are awarded to the top 3 drivers. A 60 minute Le Mans style team endurance race (2 or 3 drivers per team) with practice and qualifying, using our fleet of 390cc RT8 Sodi Karts. This is the perfect format for small groups – Stags, Hens and Birthdays alike. Team work and strategy are key as each team battles to complete the most laps in 60 minutes. Or race as an individual for the ultimate test of stamina! Trophies are awarded to the drivers in the top 3 teams. 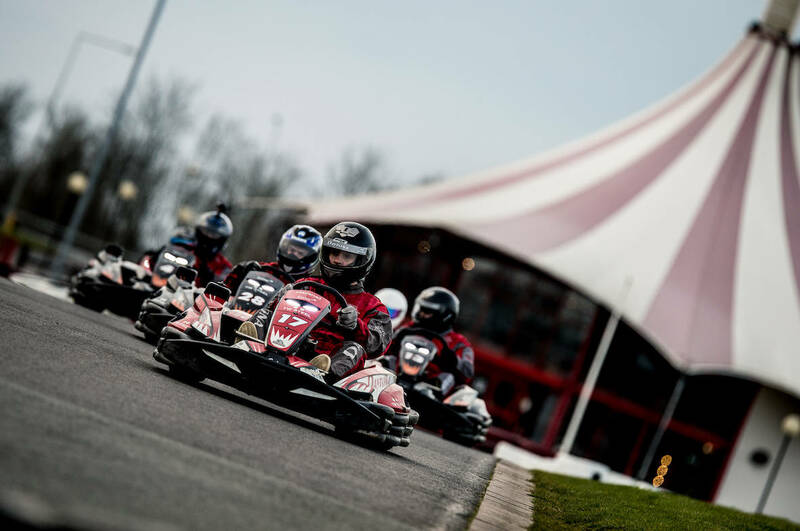 A 20 minute sprint race on the International Circuit, with practice and qualifying, for individual drivers, using our fleet of 2 Stroke DMAX racing karts. Trophies are awarded to the top 3 drivers.